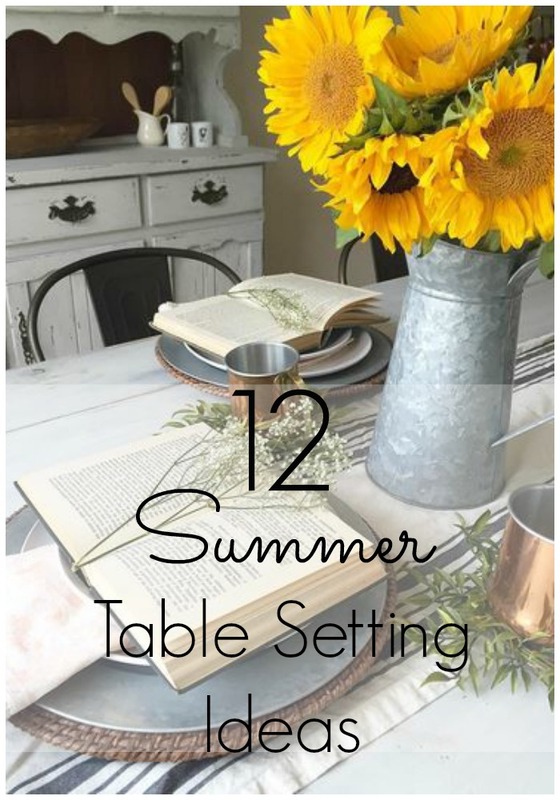 Tis' the season for summer entertaining! Last week some Instagram friends and I created and shared a dozen casual and elegant table-topping ideas for summer get-togethers. Truth time! I'm horrible at setting the table. You're lucky if I even remember to set out the silverware but every once in awhile I find it a fun challenge to break out of my "casual, paper plate" mode and dress things up a bit. I'm really excited to share these stylish table settings with you all. As you can see, they are all very different from each other and that's what I love about the decor world; there really isn't just one PERFECT way to do something. Hopefully, you'll be inspired by one, two, or all of these ideas! Enjoy! Which one is your favorite?! Do you tend to bust out your Martha Stewart's skills for summer bbqs and potlucks or are you more laid back?